With the likes of The Squid and the Whale and Frances Ha, writer/director Noah Baumbach has excelled at exploring the specific personal conflicts people experience in real life in fantastic and entertaining detail. 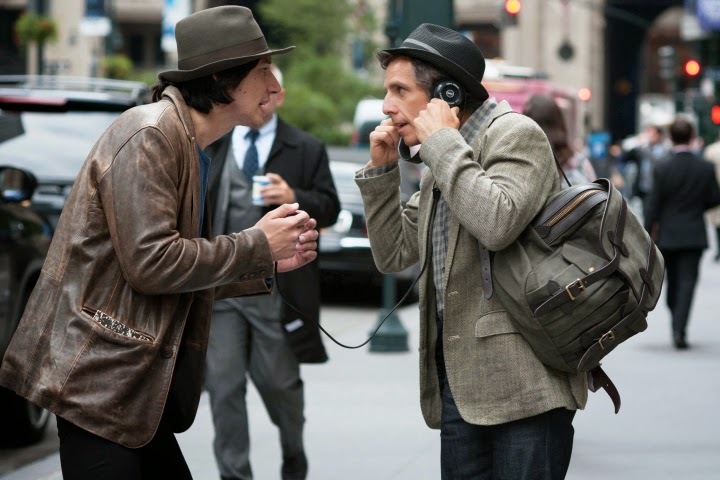 Now, he's taking a stab at the generation gap with While We're Young, following struggling documentarian Josh (Ben Stiller) and his wife Cornellia (Naomi Watts), who, fueled by personal tragedy, actively fight against moving on with their lives as their friends lose themselves to baby obsession. When they meet young hipster couple Jamie and Darby (Adam Driver and Amanda Seyfried), they immediately become enamoured with their carefree lifestyle, and soon find their lives being rejuvenated. Almost a coming of age story for the middle aged, While We're Young captures your attention from the opening frame, and the story zips by with a humour and lightness which, thankfully, doesn't undercut the heavier moments of the movie. Recapturing youth (and when to let go of it) may be what the movie is mostly concerned with, but Baumbach's script touches on many other themes, from the current obsession with media in all it's forms to creative integrity, packing quite a lot to think about into it's 97 minute runtime. It feels like a movie made up of three distinct parts, the story branching out in surprising ways that take you by surprise at first, but thinking back you realise the signposts were all there. Some elements of the story may feel familiar at times, but the Baumbach spins the outcomes in refreshingly different ways. The characters feel like broadly drawn caricatures at times (Jamie only watches movies on VHS, he and Darby live in a loft filled with mostly home made furniture), but that can be overlooked because they are endlessly charming. Anyone not familiar with Stiller's indie work will be surprised that he isn't his usual hair trigger self, refraining from the manic persona we're used to in favor of something a lot more subtle. He plays the combative, easily manipulated Josh perfectly, his reaction to the tiniest amount of flattery from Jamie speaking volumes about his character. He and Driver work off each other beautifully, the two characters basically on the same career path with the younger willing to do a lot more to achieve his goals. Driver's disarming Jamie is a wonderful rogue, all smiles at the start with his true intentions being drip fed to us as the movie marches on. While We're Young is very much Jamie and Josh's story, which much of the time leaves Watts and Seyfried with not a lot to do. They do get their moments in the sun, but do feel somewhat wasted. Wonderfully written and extremely well acted, While We're Young tells a very real, relevant story in a funny, extremely smart way.